CARY, N.C. – Carolina RailHawks forward Etienne Barbara has been named the recipient of the NASL Golden Ball, the award for the league’s most valuable player. 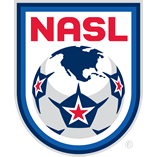 Barbara recieved all nineteen first place votes cast by media from each NASL market. Barbara was at the forefront of the RailHawks landmark 2011 season, which saw the RailHawks win the NASL Regular Season Championship and break more than 20 individual and team records along the way. Eight of those records belong to Barbara. 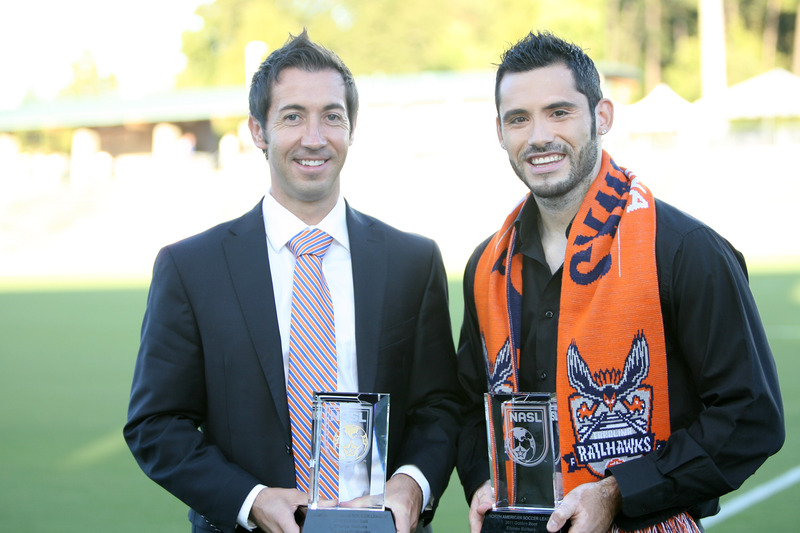 In his second season with the RailHawks, he scored 20 goals and had eight assists to win the NASL’s Golden Boot. He was also named to the NASL Best XI. He appeared in 27 matches and logged 2,218 minutes, third most on the team. Barbara’s 20 goals were nearly twice as many as any other player in the league. Teammate Pablo Campos was second in the NASL with 12 goals. And Barbara’s 20 goals marked just the sixth time in second division history that a player has reached that milestone, the first time since 2003. Barbara’s season-long scoring surge kicked off in the season opener on April 9. At WakeMed Soccer Park against Puerto Rico, he entered the match as a 79th-minute substitute – hours after completing a 15-hour journey back to the Triangle from his native Malta. He drew and then converted a penalty kick in the 86th minute to tie the match, and that goal kickstarted an eight-game goal-scoring streak and a 12-game point-scoring streak. By the sixth game of the season, Barbara had nine goals to set a new RailHawks’ single-season goal-scoring record. But he did more than just score goals. His eight assists were tied for most in the league with teammate Jonny Steele. By season’s end, Barbara became the owner of eight club records: most goals in a season, most assists in a season, most points in a season (48), most shots in a season (76), most goals in a career (28), most points in a career (67), most consecutive games with a goal (eight) and most consecutive games with a point (12). Barbara also had four multi-goal games, including the NASL’s first hat trick in a 4-2 win at Atlanta on Aug. 20.